China (mainland) Hebei Shijiazhuang,No. 298 Zhonghua North Street, Xinhua District, Shijiazhuang, Hebei, China. Geogrid is made of polypropylene, polyethylene or other high molecular polymers. They will be two-dimensional grid shape or three-dimensional grid with a certain degree through thermoplastic or mould pressing. 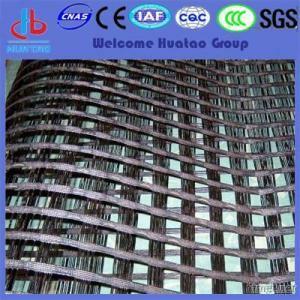 Geogrid usually be used as reinforcing rib for reinforced fill structure and composite geosynthetics. 5. High-strength metal plastic BX geogrid Reinforcement of permanent bearing road beds of highways, railways, airports, large parking area and dock goods yard.